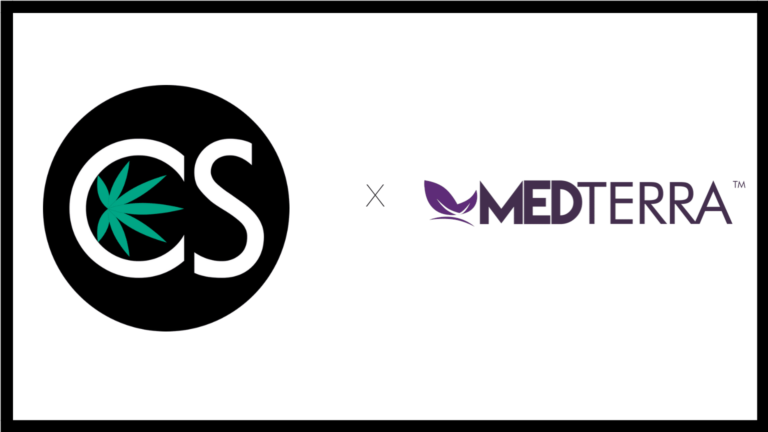 One of the newest CBD companies to hit the scene is Medterra. 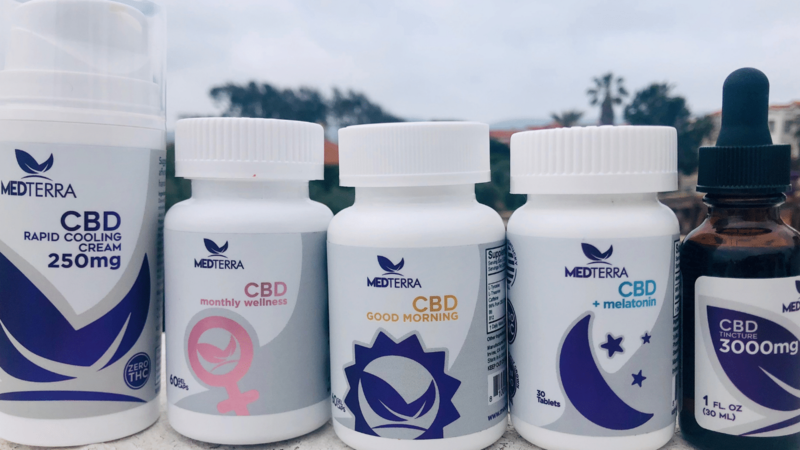 Based out of Irvine, California, Medterra offers a full line of CBD products sourced from organically-grown Kentucky hemp. All of Medterra CBD products are made with CBD isolate, meaning that they contain absolutely no THC. That’s great news for civil workers, athletes, or anyone else who has to take drug tests which screen for THC. In a world where CBD companies are being created all the time, how does Medterra stand out from the competition? Let’s take a closer look right now. Medterra CBD products are sourced from organic hemp proudly grown in the USA using CO2 extraction methods. Medterra then takes the refinement process a step further by removing all traces of THC to offer a 99% pure CBD isolate product. This means that Medterra could be the perfect choice for anyone who can’t have any traces of THC in their system for whatever reason. This also means that it’s not a full-spectrum CBD product, meaning it doesn’t contain any other beneficial cannabinoids or terpenes. One thing we liked about Medterra is their commitment to transparency. They’re totally upfront about where their hemp is sourced from and work with local Kentucky hemp farmers under regulations outlined by the Kentucky Department of Agriculture’s Industrial Hemp Pilot Research Program. With Medterra, you not only know where your hemp is coming from, but also that it’s of the highest-quality. Lab reports are easily available right on their website, offering their customers all the information they need to know that they’re getting the quality they expect. When it comes to CBD, quality should be your number one concern. Where is the hemp grown? Is it grown organically? Is it certified? What chemicals or solvents are used during the extraction process? Does the company test its products? What do they test for? Who does the testing? Does the company provide lab test results? Medterra has answered all of these and more. They let their potential customers know exactly where their organically-grown hemp comes from, how it’s extracted, that their products are third-party tested for quality, with current lab results readily available on their website. If you’re looking for transparency and a quality company, Medterra could become your new go-to when it comes to CBD. How do their products stand out? When it comes to Medterra CBD Tincture, you’ve got four options. 500mg ($49.95), 1,000mg ($89.95), 1,500mg ($114.95) and 3,000mg ($149.95). No matter what your needs or budget, Medterra has a CBD Tincture that could benefit you. We tried the 3,000mg option, which we feel would be perfect for those who find they need to manage something which requires higher doses. Each dropper contains 100mg of CBD. While this is a lot for the average consumer, it can benefit those who need more serious relief. How did it taste? Like nothing, actually. The oil itself is on the lighter side. Not exactly clear, but more of a very light gold. The color of an oil actually tells you a lot about the refinement process. Raw CBD oil that hasn’t gone through much processing is typically extremely dark in color, often with a hint of green. Gold and lighter brown oils have gone through some processing and filtering, while clear oils tend to be the most processed and have gone through significant filtering. Considering Medterra CBD oil is 99% isolate, we’re not surprised at the lighter color. Overall, it was smooth and easy on the palette. We also felt we could feel a noticeable difference after the 100mg that we consumed. When it comes to capsules, Medterra has you well covered. They offer three different options, each designed with something different in mind. Medterra’s CBD Good Morning Capsules appealed to us immediately. Why? We’re big fans of taking our morning supplements. Designed to help you “start your day off right,” Medterra offers a proprietary blend of energizing goodness that includes 25mg CBD, caffeine, vitamins B6 & B12, and L-Tyrosine & L-Theanine (for mental clarity). Did they make us feel especially more energized after taking them? Maybe a bit. The blend of B vitamins combined with the caffeine is awesome for an extra boost of energy, which we did notice a bit. We feel like it’s a good way to get those essential B vitamins in, along with a daily 25mg serving of CBD. The caffeine helped too, especially since we’ve recently decided to cut down on our morning coffee intake. One of the most popular reasons people take CBD is to help them get a better night’s sleep. This is something Medterra understands, which is why they’ve created a PM formula with CBD + Melatonin. Each tablet contains 25mg CBD and 10mg melatonin that is designed to be taken under the tongue and left to dissolve before swallowing. More and more people are discovering the benefits of CBD for sleep, while melatonin has been used for helping people sleep for centuries. The combination of the two is becoming a popular product with several CBD companies. Medterra offers their soothing nighttime blend in an easy-to-take formula. We found that they dissolved easily without being chalky and had a nice mint flavor. Medterra CBD Monthly Wellness is something many women could appreciate. Specifically designed “for women to help ease the discomfort of their period,” Medterra’s monthly wellness blend is a cocktail of all-natural relief during one’s menstrual cycle. Made with a blend of 25mg CBD, valerian root, cramp bark, dong quai, chasteberry tree, and caffeine, this is one powerful period pill. CBD is known to be beneficial for a woman’s menstrual cycle, valerian root can ease anxiety and tension, dong quai has shown to help with cramps and symptoms of PMS, and chasteberry tree has been used to ease menstrual and menopausal symptoms (including breast tenderness, cramps, and anxiety) for years. Ladies, if you’re looking for all-natural period relief, Medterra Monthly Wellness could be something worth checking into. Medterra also sells CBD Isolate crystals. CBD isolate crystals are one of the most versatile ways to take CBD…they can literally be added to anything. You can add them to vape oil, food, drinks, use them in your own DIY CBD topicals, and more. Medterra’s CBD Isolate Crystals also offer the best way to get the most precise dose of CBD you can possibly take. While it will need to be carefully measured, you know what you’re getting with each and every dose. 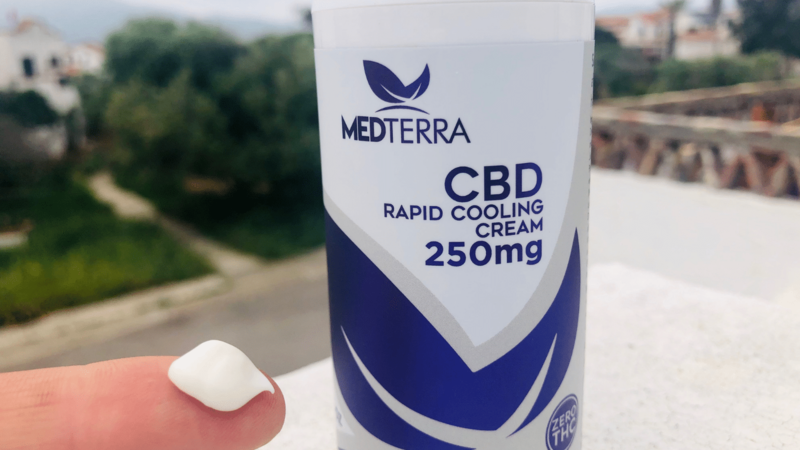 Like many other CBD companies Medterra offers a CBD Cooling Cream (Topical CBD). The benefits of using a topical CBD such as a cream or lotion are well-documented and have become one of the most popular ways of relieving joint and muscle pain. Professional athletes swear by CBD topicals for sports recovery. How did we find it worked? It was satisfyingly comparable other quality CBD cooling creams we’ve tried. The cooling effects came on quickly and it seemed to provide localized pain relief for our our stiff, achy shoulders. The pump bottle also allowed for an easy, no mess application. Aside from CBD, Medterra’s cooling cream is packed full of other beneficial ingredients, most of which are all-natural and known for their pain-fighting and healing qualities. Made with a base of sunflower oil, it’s gentle on the skin and absorbs quickly. After sampling a few of their products and researching the company more in depth, we’re pleased with Medterra. While we prefer a full-spectrum product, we know that many CBD consumers want a product that doesn’t contain even a trace of THC. For those individuals, Medterra could be a solid choice. We found their transparency awesome and love that they’re adamant about quality and have the test results to back it up. Pricing is industry-standard, if not a bit more affordable than some other companies. 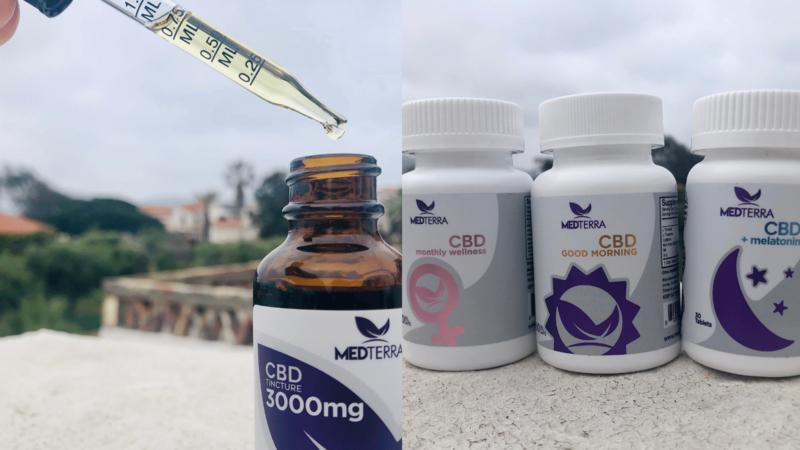 Overall, we’re definitely impressed with Medterra’s level of professionalism, products, and commitment to quality and feel it’s an option for anyone looking to incorporate CBD into their regular wellness routine! If you’ve tried Medterra, we’d love to hear about your experience in the comments below. There are two brands of CBD Tincture that I use and Medterra CBD Tincture 1000mg is one of them. I have been using it for a year now and have achieved great results in pain and anxiety control. I highly recommend their products.